Eliza Tinsley Heavy Duty Timber Screws - 7 x 150mm. 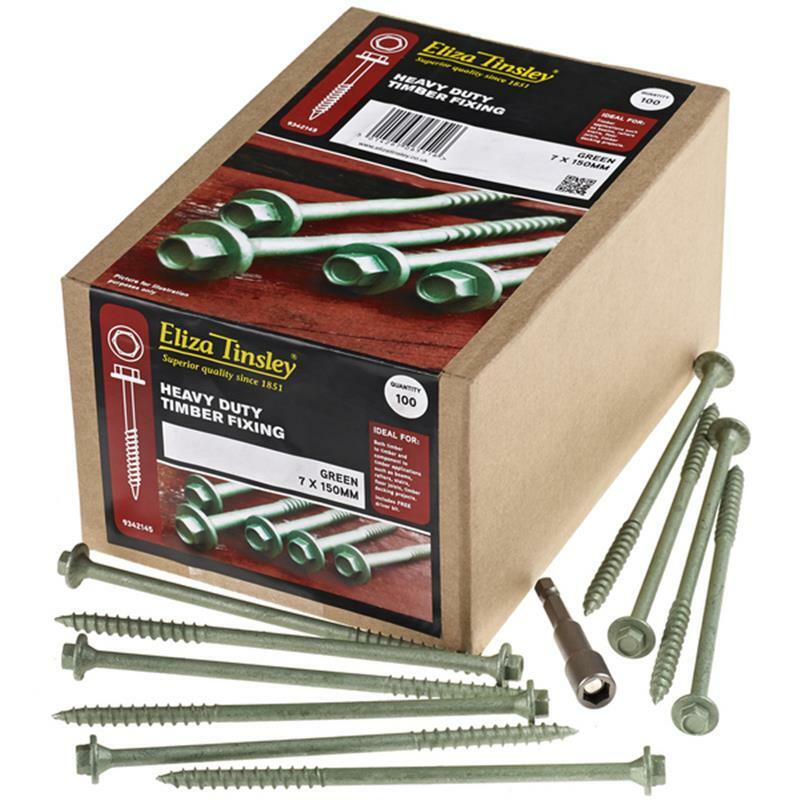 Pack of 100 green heavy duty timber screws ideal for use on both timber to timber and component to timber applications including; beams, rafters, stairs, floor joists and timber decking projects. Pack includes free driver bit.